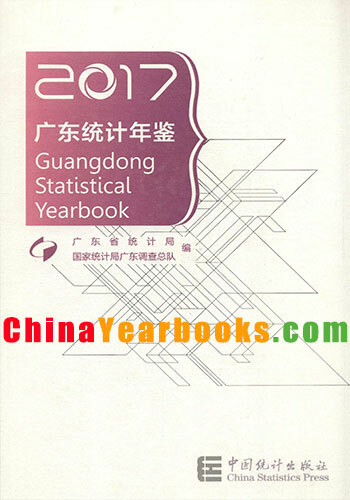 Ⅰ.Guangdong Statistical Yearbook 2018(hereinafter referred to as the Yearbook) is an annual statisticalpublication,which reflects comprehensively the economic and social development of Guangdong Province.It coversdata for 2017 and key statistical data in some historically important years since 1978 at the provincial level and thelocal levels of city,county and district. Ⅱ.The Yearbook contains twenty-two chapters:1.General Survey;2.National Accounts;3.Population;4.Employment and Wages;5.Investment in Fixed Assets;6.Foreign Trade and Economic Cooperation;7.Energy,Resources and Environment;8.Government Finance,Banking and Insurance;9.Prices;10.People’s LivingConditions;11.Agriculture;12.Industry;13.Service Enterprises Above Designated Size;14.Construction;15.Transport,Postal and Telecommunication Services;16.Wholesale,Retail Trades and Tourism;17.Hotels,Catering Services and Tourism;18.Education,Science and Technology;19 Culture and Sports.20.Public Health,Social Welfare,Social Insurance and Others;21.Main Economic Indicators of Economic Regions;22.MainEconomic Indicators of Counties(County-level Cities) and Districts.Meanwhile,four chapters are listed asappendices:1.Main Statistical Indicators of 31 Provinces and Municipalities;2.Main Statistics of Hong Kong andMacao Special Administrative Regions;3.Main Statistical Indicators of Taiwan Province;4.Main Statistics of SomeCountries and Territories.To facilitate readers,the Brief Introduction at the beginning of each chapter provides asummary of the main contents of the chapter,data sources,statistical scope,statistical methods and historicalchanges.At the end of each chapter,Explanatory Notes on Main Statistical Indicators are included. Ⅲ.The data in the Yearbook are mainly obtained from regular statistical reports and sample surveys conductedby the statistical bureaus of all levels of government and the Survey Office of the National Bureau of Statistics inGuangdong.Some data are collected from the departments of the central government and the provincial government.Data in the appendices are compiled from statistical publications published by the National Bureau of Statistics andother sources. Ⅳ.The pearl river delta,east wing,west wing and mountainous areas in the Yearbook are divided as following: The pearl river delta include Guangzhou,Shenzhen,Zhuhai,Foshan,Jiangmen,Dongguan,Zhongshan,Huizhouand Zhaoqing. The east wing includes Shantou,Shanwei,Chaozhou and Jieyang. The west wing includes Zhanjiang,Maoming and Yangjiang. The mountainous areas include Shaoguan,Heyuan,Meizhou,Qingyuan and Yunfu. Ⅴ.The units of measurement used in the Yearbook are internationally standard measurement units,except thatthe unit of cultivated land and sown areas uses “mu” with regard to the Chinese tradition. Ⅵ.Please refer to the newly published version of the Yearbook for updated historical data.Statisticaldiscrepancies on totals and relative figures due to rounding are not adjusted in the Yearbook. Ⅶ.Notations used in the Yearbook: “…”indicates that the figure is not large enough to be measured with the smallest unit in the table; “#” indicates a major breakdown of the total; “blank space” indicates that the data are unknown or are not available; “①”indicates footnotes at the end of the table. Ⅷ.In comparison with Guangdong Statistical Yearbook 2017,following revisions have been made in this newversion in terms of the statistical contents and in editing:Of the chapter of “General Survey”,data of indicators onnational economic and social development are added.Of the chapter of “National Economic Account”,historicaldata of GDP has been revised according to the new accounting methodology of expenditure for research anddevelopment.Of the chapter of “Population”,data of age composition and dependency ratio of permanentpopulation,and data of composition of permanent population are added.Of the chapter of “People’s LivingCondition”,data of grouped by five equal shares of number of major durable consumer goods income andexpenditure owned per100 rural and urban permanent households at year-end,and data of per capita disposableincome of permanent households by sources and city are added.Of the chapter of “Education and Technology”,data of R&D expenditure by above designated industry and its composition are added.Of the chapter of“Agriculture”,data of agriculture production basic conditions and historical data of output of aquatic products andlivestock products are added.Of the chapter of “Foreign trade and Economic Cooperation”,indicators of exportand import of goods in RMB are added.According to the new departmental reporting system,some professionalcontents and indicators have been adjusted. Acknowledgements:our gratitude goes to relevant departments and units under the provincial government,from which we have received tremendous support when compiling the Yearbook. 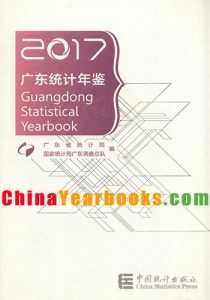 Ⅰ.Guangdong Statistical Yearbook 2017(hereinafter referred to as the Yearbook)is an annual statisticalpublication,which reflects comprehensively the economic and social development of Guangdong Province.It coversdata for 2016 and key statistical data in some historically important years since 1978 at the provincial level and thelocal levels of city,county and district. Ⅱ.The Yearbook contains twenty-two chapters:1.General Survey;2.National Accounts;3.Population;4.Employment and Wages;5.Investment in Fixed Assets;6.Foreign Trade and Economic Cooperation;7.Energy,Resources and Environment;8.Government Finance,Banking and Insurance;9.Prices;10.People’s LivingConditions;11.Agriculture;12.Industry;13.Service Enterprises Above Designated Size;14.Construction;15.Transport,Postal and Telecommunication Services;16.Wholesale,Retail Trades and Tourism;17.Hotels,CateringServices and Tourism;18.Education,Science and Technology;19 Culture and Sports.20.Public Health,SocialWelfare,Social Insurance and Others;21.Main Economic Indicators of Economic Regions;22.Main EconomicIndicators of Counties(County-level Cities) and Districts.Meanwhile.four chapters are listed as appendices:1.Main Statistical Indicators of 31 Provinces and Municipalities;2.Main Statistics of Hong Kong and Macao SpecialAdministrative Regions;3.Main Statistical Indicators of Taiwan Province;4.Main Statistics of Some Countries andTerritories.To facilitate readers,the Brief Introduction at the beginning of each chapter provides a summary of themain contents of the chapter,data sources,statistical scope,statistical methods and historical changes.At the end ofeach chapter,Explanatory Notes on Main Statistical Indicators are included. Ⅲ.The data in the Yearbook are mainly obtained from regular statistical reports and sample surveys conductedby the statistical bureaus of all levels of government and the Survey Office of the National Bureau of Statistics inGuangdong.Some data are collected from the departments of the central government and the provincial government.Data in the appendices are compiled from statistical publications published by the National Bureau of Statistics andother sources. Ⅳ.The pearl river delta,east wing,west wing and mountainous areas in the Yearbook are divided as following: The pearl river delta include Guangzhou,Shenzhen,Zhuhai,Foshan,Jiangmen,Dongguan,Zhongshan,Huizhouand Zhaoqing. The east wing includes Shantou,Shanwei,Chaozhou and Jieyang. The west wing includes Zhanjiang,Maoming and Yangjiang. The mountainous areas include Shaoguan,Heyuan,Meizhou,Qingyuan and Yunfu. Ⅴ.The units of measurement used in the Yearbook are internationally standard measurement units,except thatthe unit of cultivated land and sown areas uses“mu”with regard to the Chinese tradition. Ⅵ.Please refer to the newly published version of the Yearbook for updated historical data.Statisticaldiscrepancies on totals and relative figures due to rounding are not adjusted in the Yearbook. Ⅶ.Notations used in the Yearbook: “…”indicates that the figure is not large enough to be measured with the smallest unit in the table; “#”indicates a major breakdown of the total; “blank space”indicates that the data are unknown or are not available; “①”indicates footnotes at the end of the table. Ⅷ.In comparison with Guangdong Statistical Yearbook 2016,following revisions have been made in this newversion in terms of the statistical contents and in editing:Of the chapter of“National Economic Account”and“Energy”,main indicators of Gross Domestic Product and Energy are added.Of the chapter of“Foreign Tradeand Economic Cooperation”,data of foreign investment by industry and country are added.Of the chapter of“Prices”,Consumer Price Indices by category adopts the new category,and Produce Price Indices for IndustrialProducts by sector is by the industrial classification standard of 2011’s version.Of the chapter of“People’s LivingCondition”.data of income and expenditure by pearl river delta,east wing,west wing and mountainous areas areadded.Of the chapter of“Industry”,some new products are added.Of the chapter of“Education andTechnology”,data of R&D expenditure by city.Of the chapter of“Main Economic Indicators of Counties(County-level Cities and Districts)”,data of districts are added.According to the new departmental reportingsystem,some professional contents and indicators have been adjusted. Acknowledgements:our gratitude goes to relevant departments and units under the provincial government,from which we have received tremendous support when compiling the Yearbook. Ⅰ. Guangdong Statistical Yearbook 2017 (hereinafter referred to as the Yearbook) is an annual statistical publication, which reflects comprehensively the economic and social development of Guangdong Province. It covers data for 2015 and key statistical data in some historically important years since 1978 at the provincial level and the local levels of city, county and district. Ⅱ. The Yearbook contains twenty-two chapters: 1. General Survey; 2. National Accounts; 3. Population; 4. Employment and Wages; 5. Investment in Fixed Assets; 6. Foreign Trade and Economic Cooperation ; 7. Energy, Resources and Environment ; 8. Government Finance, Banking and Insurance; 9. Price; 10. People’s Living Conditions; 11. Agriculture; 12. Industry; 13. Service Enterprises Above Designated Size；14.Construction; 15. Transport, Postal and Telecommunication Services; 16. Wholesale , Retail Trades and Tourism; 17. Hotels, Catering Services and Tourism; 18. Education, Science and Technology; 19 Culture and Sports. 20.Public Health, Social Welfare, Social Insurance and Others; 21. Main Economic Indicators of Economic Regions; 22. Main Economic Indicators of Counties (County-level Cities) and Districts. Meanwhile, four chapters are listed as appendices: 1. Main Statistical Indicators of Some Provinces and Municipalities; 2. Main Statistics of Hong Kong and Macao Special Administrative Regions; 3. Main Statistical Indicators of Taiwan Province; 4. Main Statistics of Some Countries and Territories. To facilitate readers, the Brief Introduction at the beginning of each chapter provides a summary of the main contents of the chapter, data sources, statistical scope, statistical methods and historical changes. At the end of each chapter, Explanatory Notes on Main Statistical Indicators are included. Ⅲ. The data in the Yearbook are mainly obtained from regular statistical reports and sample surveys conducted by the statistical bureaus of all levels of government and the Survey Office of the National Bureau of Statistics in Guangdong. Some data are collected from the departments of the central government and the provincial government. Data in the appendices are compiled from statistical publications published by the National Bureau of Statistics and other sources. The pearl river delta include Guangzhou, Shenzhen, Zhuhai, Foshan, Jiangmen, Dongguan, Zhongshan, Huizhou and Zhaoqing. The east wing includes Shantou, Shanwei, Chaozhou and Jieyang. The west wing includes Zhanjiang, Maoming and Yangjiang. The mountainous areas include Shaoguan, Heyuan, Meizhou, Qingyuan and Yunfu. Ⅴ. The units of measurement used in the Yearbook are internationally standard measurement units, except that the unit of cultivated land and sown areas uses”mu” with regard to the Chinese tradition. Ⅵ. Please refer to the newly published version of the Yearbook for updated historical data.Statistical discrepancies on totals and relative figures due to rounding are not adjusted in the Yearbook. “ ① ” indicates footnotes at the end of the table. Ⅷ. In comparison with Guangdong Statistical Yearbook 2016，following revisions have been made in this new version in terms of the statistical contents and in editing: Of the chapter of “National Economic Account”and “Energy”, main indicators of Gross Domestic Product and Energy are added. Of the chapter of “Foreign Trade and Economic Cooperation”, data of foreign investment by industry and country are added. Of the chapter of “Prices”, Consumer Price Indices by category adopts the new category, and Produce Price Indices for Industrial Products by sector is by the industrial classification standard of 2011’s version. Of the chapter of “People’s Living Condition”, data of income and expenditure by pearl river delta, east wing, west wing and mountainous areas are added. Of the chapter of “Industry”, some new products are added. Of the chapter of “Education and Technology”, data of R&D expenditure by city. Of the chapter of “Main Economic Indicators of Counties (County-level Cities and Districts)”, data of districts are added. According to the new departmental reporting system, some professional contents and indicators have been adjusted. Acknowledgements: our gratitude goes to relevant departments and units under the provincial government, from which we have received tremendous support when compiling the Yearbook. I. Guangdong Statistical Yearbook 2016 (hereinafter referred to as the Yearbook) is an annual statistical publication, which reflects comprehensively the economic and social development of Guangdong Province. It covers data for 2015 and key statistical data in some historically important years since 1978 at the provincial level and the local levels of city, county and district. II. The Yearbook contains twenty-two chapters: 1. General Survey; 2. National Accounts; 3. Population; 4. Employment and Wages; 5. Investment in Fixed Assets; 6. Foreign Trade and Economic Cooperation ; 7. Energy, Resources and Environment ; 8. Government Finance, Banking and Insurance; 9. Price; 10. People’s Living Conditions; 11. Agriculture; 12. Industry; 13. Service Enterprises Above Designated Size；14.Construction; 15. Transport, Postal and Telecommunication Services; 16. Wholesale , Retail Trades and Tourism; 17. Hotels, Catering Services and Tourism; 18. Education, Science and Technology; 19 Culture and Sports. 20.Public Health, Social Welfare, Social Insurance and Others; 21. Main Economic Indicators of Economic Regions; 22. Main Economic Indicators of Counties (County-level Cities) and Districts. Meanwhile, four chapters are listed as appendices: 1. Main Statistical Indicators of Some Provinces and Municipalities; 2. Main Statistics of Hong Kong and Macao Special Administrative Regions; 3. Main Statistical Indicators of Taiwan Province; 4. Main Statistics of Some Countries and Territories. To facilitate readers, the Brief Introduction at the beginning of each chapter provides a summary of the main contents of the chapter, data sources, statistical scope, statistical methods and historical changes. At the end of each chapter, Explanatory Notes on Main Statistical Indicators are included. III. The data in the Yearbook are mainly obtained from regular statistical reports and sample surveys conducted by the statistical bureaus of all levels of government and the Survey Office of the National Bureau of Statistics in Guangdong. Some data are collected from the departments of the central government and the provincial government. Data in the appendices are compiled from statistical publications published by the National Bureau of Statistics and other sources. V. The units of measurement used in the Yearbook are internationally standard measurement units, except that the unit of cultivated land and sown areas uses”mu” with regard to the Chinese tradition. VI. Please refer to the newly published version of the Yearbook for updated historical data.Statistical discrepancies on totals and relative figures due to rounding are not adjusted in the Yearbook. VIII. In comparison with Guangdong Statistical Yearbook 2015，following revisions have been made in this new version in terms of the statistical contents and in editing: The tables about service enterprises above the designated size are taken out of the chapter of “General Survey” and formed a new chapter of “Service Enterprises Above Designated Size”; Contents are added reflecting the integrated urban and rural household survey on income and expenditure. Contents are added reflecting productive service industry. Contents are added reflecting e-commerce. Contents are added reflecting deposits and loans in financial institutions. Contents are added reflecting Basic Conditions of general budgetary revenue and expenditure by city. According to the new departmental reporting system, some professional contents and indicators have been adjusted. I. Guangdong Statistical Yearbook 2014 (hereinafter referred to as the Yearbook) is an annual statistical publication, which reflects comprehensively the economic and social development of Guangdong Province. It covers data for 2013and key statistical data in some historically important years since 1978 at the provincial level and the local levels of city, county and district. II. The Yearbook contains twenty-two chapters: 1.General Survey; 2. National Accounts; 3. Population; 4. Employment and Wages; 5. Investment in Fixed Assets; 6. Foreign Trade and Economic Cooperation ; 7. Energy, Resources and Environment ; 8. Government Finance, Banking and Insurance; 9. Price Indices; 10. People’s Living Conditions; 11. Agriculture; 12. Industry; 13. Construction; 14. Transport, Postal and Telecommunication Services; 15. Wholesale , Retail Trades and Tourism; 16. Hotels, Catering Services and Tourism ; 17. Education, Science and Technology; 18 Culture and Sports. 19.Public Health, Social Welfare, Social Insurance and Others; 20. Main Economic Indicators of Economic Regions; 21. Main Economic Indicators of Counties (County-level Cities) and Districts. Meanwhile, four chapters are listed as appendices: 1. Main Statistical Indicators of Some Provinces and Municipalities; 2. Main Statistics of Hong Kong and Macao Special Administrative Regions; 3. Main Statistical Indicators of Taiwan Province; 4. Main Statistics of Some Countries and Territories. To facilitate readers, the Brief Introduction at the beginning of each chapter provides a summary of the main contents of the chapter, data sources, statistical scope, statistical methods and historical changes. At the end of each chapter, Explanatory Notes on Main Statistical Indicators are included. V. The units of measurement used in the Yearbook are internationally standard measurement units, except that the unit of cultivated land and sown areas uses“mu” with regard to the Chinese tradition. VI. Statistical discrepancies on totals and relative figures due to rounding are not adjusted in the Yearbook. VIII. 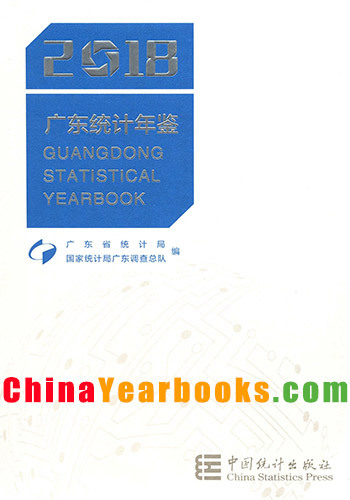 In comparison with Guangdong Statistical Yearbook 2013，following revisions have been made in this new version in terms of the statistical contents and in editing: The position and name of some chapters have been adjusted in accordance with China Statistical Yearbook; Some obsolete or duplicate indicators have been deleted, and some tables have been integrated; According to departmental reporting system, some professional contents have been adjusted; Classification for national standard of industry classification is implementing new version of 2011 except others notified.